ELK Stack is a powerful and open source platform that can manage a massive amount of logged data. ELK Stack is the world’s most popular log management platform. It is a collection of open-source products including Elasticsearch, Logstash, and Kibana. All these 3 products are developed, managed and maintained by Elastic. ELK Stack is a powerful and open source platform that can manage a massive amount of logged data. The inputs log are generally from a graphical web interface (GUI). Elasticsearch is a JSON-based search and analytics engine intended for horizontal scalability and easier management. Logstash is a server-side data processing interface that has the capability to collect data from several sources concurrently. It then transforms it, and then sends the data to your desired stash. It is an open source application. 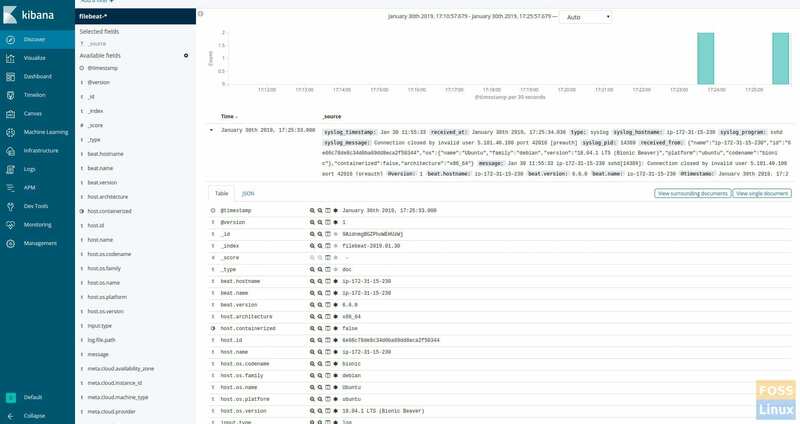 Kibana is used to visualize your data and navigate the Elastic Stack. It is an open source tool as well. In this tutorial, we are going to use filebeat to send log data to Logstash. Beats are lightweight data shippers and to begin with, we should have to install the agent on servers. ElasticSearch supports Java 8 and 9, but the trouble is Logstash is only compatible with Java 8. Java 9 is not supported yet. Therefore, we are going to install Oracle Java 8. Launch the Terminal and add Oracle Java 8 repository, followed by a system update, and actual installation. Secondly, install the apt-transport-https package (Debian based distros needs this). Next, save and close the file. 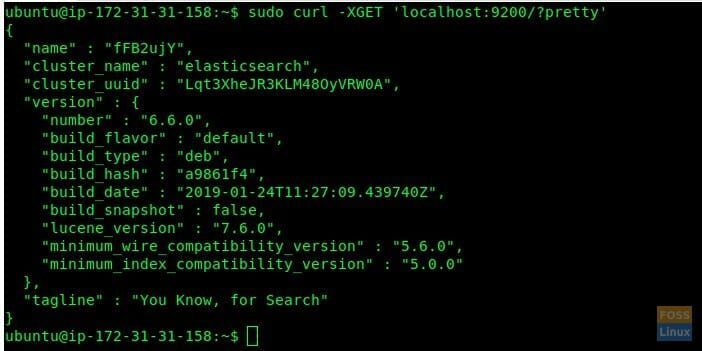 To make sure ElasticSearch works seamlessly, enable it on boot and Start ElasticSearch. Here we are going to generate SSL certificate key to secure log transfer from file beat client. Modify the “hosts” file before creating the SSL certificate. Add the following line to file. Make sure to change IP and server name to yours. When done, save and exit the file. Now change directory to Logstash. 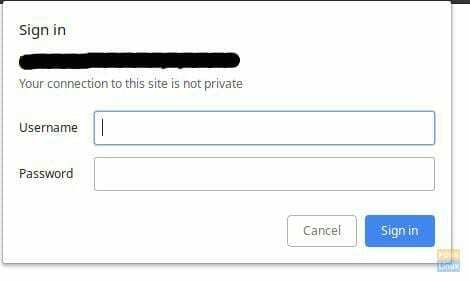 Generate SSL certificate. Change elk-server to your server name in the below command. Create following files inside “/etc/logstash/conf.d”. create a filebeat-input file using vim. Save and close the file and create a new configuration file. Add the following contents to it. Save and exit the file. Create elasticsearch output file. Start with editing the hosts file to add elk host entries. Make sure to replace IP and name with yours. Install “apt-transport-https” and add repo. Update repo and install Filebeat. Find the following line and modify the value to “true”. copy output and then go to Elk client-server. insert copied output and save & exit. Enable filebeat on system boot Start filebeat service. Launch your favorite web browser and enter the domain name followed by username and password. Enter the created user name and password. 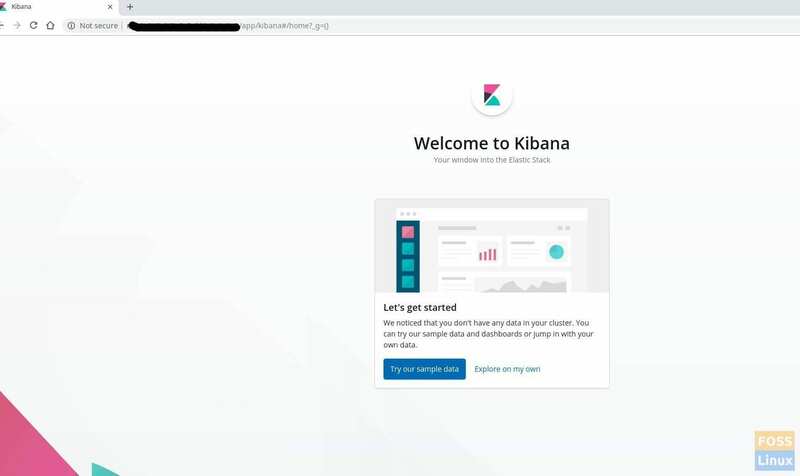 You should see the Kibana Welcome page. Click “Explore my Own” button. 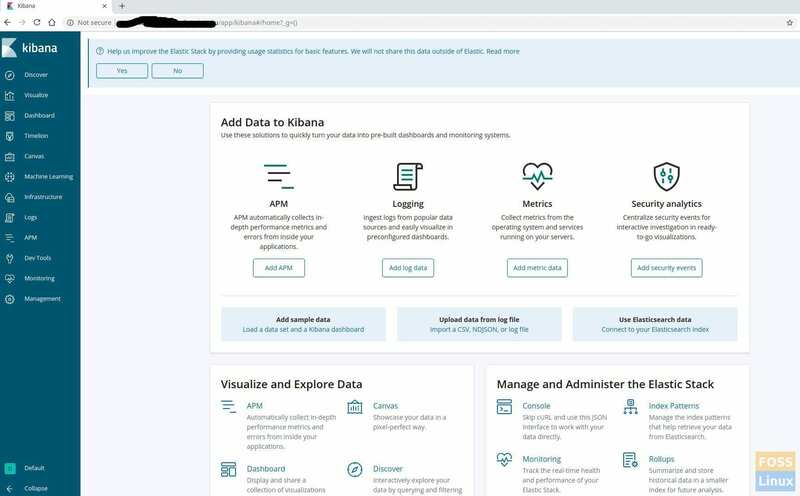 You should be directed to the Kibana Home Page. Click “Discover” on the left side. Click “Create index pattern”. Then define the index pattern “filebeat-*”. Click next and choose @timestamp’ and click ‘Create index pattern’. Index pattern should get created. Click the “Discover” Menu to see the server logs. Logs will be shown as per the time stamp. Click on any timestamp to expand it and see the log file contents and its details. If you reached here, it implies you have successfully installed and configured the ELK stack with filebeat. Got any issues? Feel free to let us know in the comments below. Hi Darshana. Thanks for the tutorial! It was very interesting and helpful, but I have some doubts about it. 1.- When configurating Nginx, you enabled the authentication and refered to an htpasswd file called “.elkusr”. After that, you created an htpasswd file called “.elkusrsecret”. In this case, when it tries to reach the authentication file, the one specified in the configuration doesn’t exist. How’s it going to find the correct file? 2.- When configurating Filebeat, in the logstash output hosts field, you specified “elk-master” but this name is not in the hosts list of the server and neither in the client configuration. The names added to the hosts lists are “elk-server”, does it work fine like that? I followed your tutorial and everything was installed and configured ok, but Filebeat is not able to connect to the server and I don’t know the reason yet. I installed both client and server in separated Ubuntu 18.04 LTS servers and would like to make them talk to each other but I don’t know the reason it doesn’t work yet, maybe it’s something wrong with the configuration of the machine. If you have any suggestion or advice it would be very appreciated! Please run below command on elk-server to check logstash port. If the port is available to go to the filebeat server. if you cant it may be the issue on the firewall. 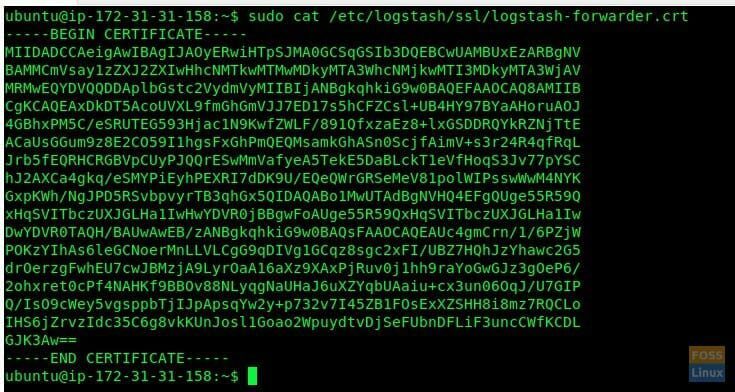 check logstash log file and verify that it started without errors. If you have any issue I am really happy to help you mate.